Since 1978, RI has been led by a voluntary President elected by the General Assembly (GA) and supported by a Management Committee (MC) elected from the membership. A CEO collaborates with RI’s governing bodies in the development and implementation of the organisation’s strategic goals. The secretariat delivers up to the minute communications to its member organisations and works with them to develop advocacy tools and strategies based on agreed objectives. A core function of the RI secretariat is to produce education and capacity building tool kits based on consensus to support member organisations and to build on existing relationships with other stakeholders in the scientific, medical and health policy fields. The General Assembly – GA. The Management Committee – MC. The Scientific Medical Advisory Board – SMAB. RI is an organisation run by people living with retinal dystrophies for people living with retinal dystrophies and all those affected, be they family members or those who provide care. We want to ensure we continue to deliver the best information to you and your organisation on the development of retinal research, on access to diagnosis, care pathways, clinical trials and existing and emerging therapies. 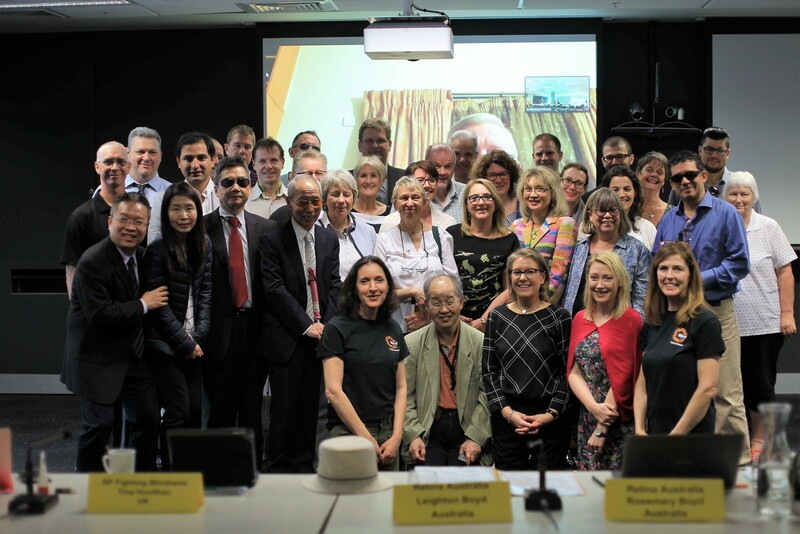 We will continue to utilise every opportunity to develop useful communications tools to reach patients living with retinal dystrophies and work with a multistakeholder group of internationally based advocates to ensure our collective voice is heard in all matters that affect our community. We can only do this with your help, and we ask you to share your thoughts on how we can improve our service to you and how we can best support you in providing you with the information to be empowered patient advocates. All governance documents including Financial Information reported to the General Assembly at its meeting in July 2016 can be found in the Resource section of this website and can be downloaded in a Word format by Clicking Here.